A functional and versatile option for staying warm during long winter months. A compact neck warmer that is form fitted to provide wind protection, warmth and easy styling capabilities. "The function of design is letting design function. " 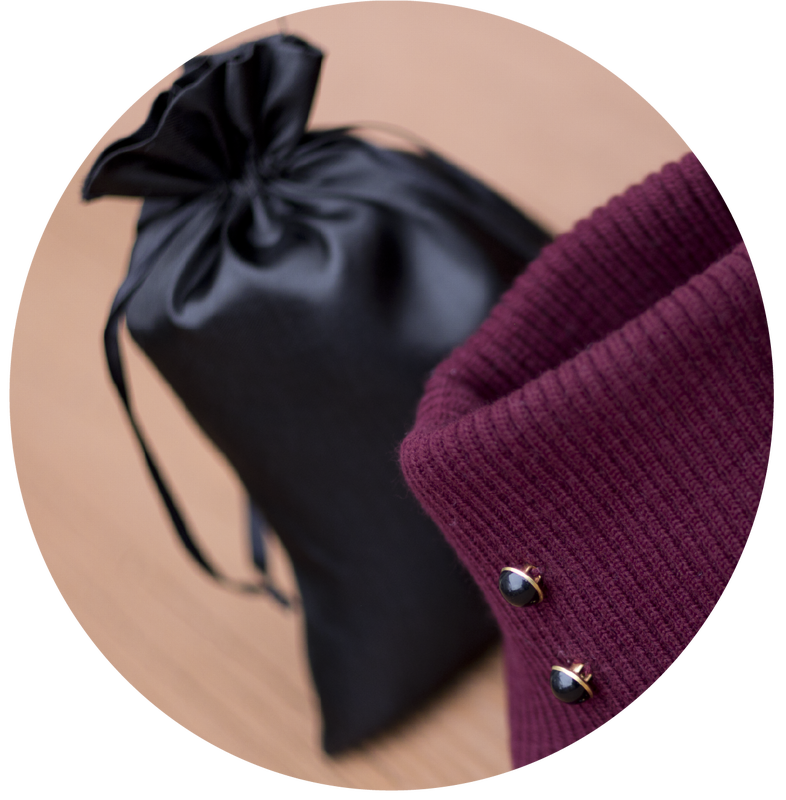 Fold it into a small drawstring pouch and throw it in your purse in preparation for cold fall/winter days. A compact structure and classic design that fits within any outerwear style. Lined with a plush layer of microfiber fleece on the inside, it provides undeniable softness and warmth. A row of carefully positioned buttons elevate the style to a classic ready-to-wear item, visually elongating the neckline and contributing to the design's charm and femininity. 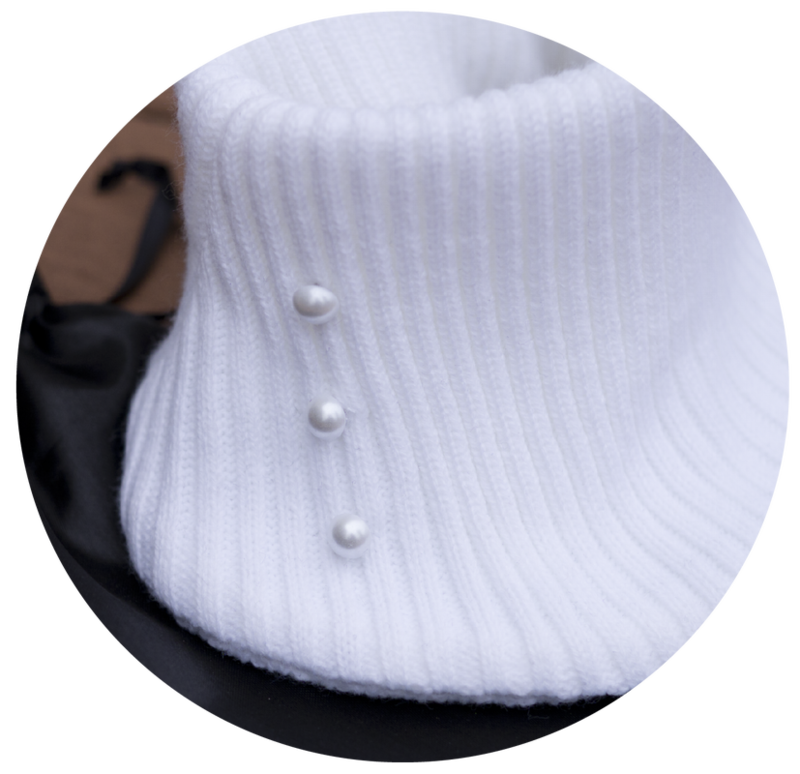 A compact, portable and elegantly designed white rib knit neck warmer providing comfort and functionality. The thick rib knit and form fitted structure provides high styling capabilities adjusting to any outwear garment it is combined with. The addition of a soft microfiber fleece on the inside adds warmth and wind-breaking insulation. This classic neck warmer allows for a versatile design that is suitable for everyday wear. 3 decorative buttons carefully positioned on the side, visually elongate the neckline adding a charming detail to the overall design. Every neck warmer comes with drawstring pouch providing increased portability and convenience. The perfect substitute for bulky winter scarves that are difficult to style, add weight and bulkiness, and provide minimal insulation. Portability and compactness makes this convenient neck warmer the must-have accessory for cold fall/winter days. 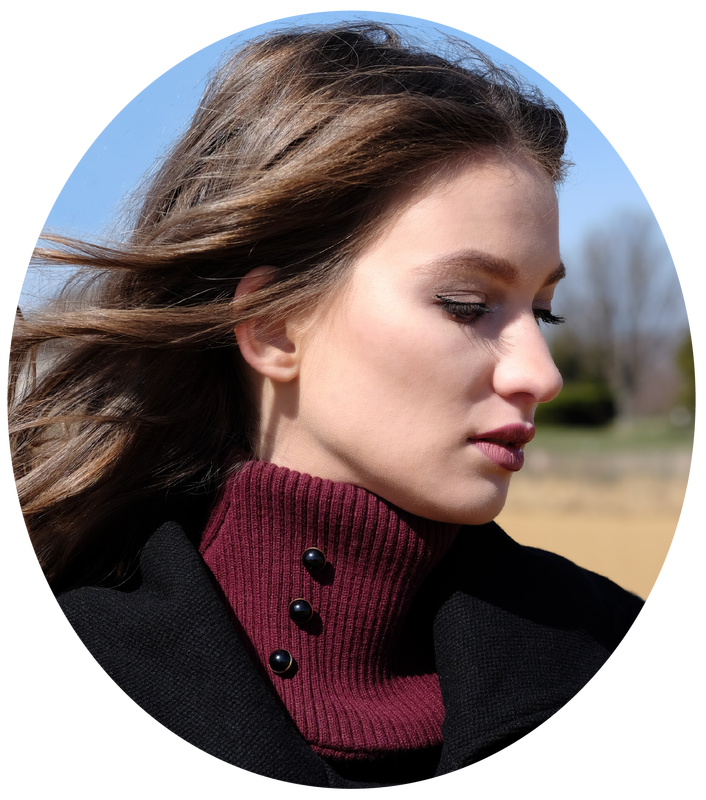 A women’s burgundy neck warmer that is compact, portable and elegantly designed to adjust to any outerwear style. Featuring a form fitted structure that does not compromise comfort and functionality. Constructed from a thick ribbing knit that is highly stretchable and lined with a soft microfiber fleece on the inside for added warmth and wind-breaking insulation. This classic neck warmer style features a design that is less sporty in nature and more suitable for everyday wear. The contrast decorative buttons visually elongate the neckline adding a chic feminine charm to the overall design. A convenient drawstring pouch is included with every neck warmer purchase allowing for easy portability. The perfect substitute for bulky winter scarves that are difficult to style, add weight and bulkiness, and provide minimal insulation. Portability and compactness is what makes this convenient neck warmer the must have accessory for cold fall/winter days.